Yes, a new album by Band of Skulls. Finally. Coincidentally the previous album, 'By Default' entered the home as LP recently, having found it priced in a nice way. It is 2019, we are all 10 years older since the band's first release, I notice somewhat wearily. 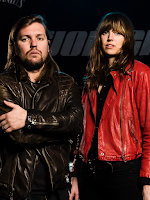 Band of Skulls came into my life in 2010 with its first album 'Baby Darling Doll Face Honey', with some of my favourite alternative rock tracks ever on it. Not all albums were as good since but I liked them all, with 'By Default' being my next favourite. So excitement was present in the home of Wo. when the new album was dropped for listening. And yes, I am fully happy with what I'm hearing, despite drummer Matt Hayward has left the band. Perhaps that accounts for the slightly more poppy, a very heavy variety of poppy, element in the music of Love Is All You Love. Russell Marsden and Emma Richardson continue as a duo. Their alternated singing is in my opinion one of the strong points of the band, as is Richardson's harmonies under the other songs. Yes, I'm a fan of her voice, which is not unlike Blood Red Shoes' Laura-May Carter. The voice of a girl-woman in a rock setting. In both cases it works for me. 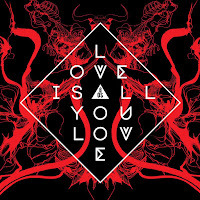 Love Is All You Love is an album containing high level pop rock with some more atmospheric outings for balance. It starts out as could be expected. Loud drums, banging hard, a fiery bass and guitars sounding like a fighter jet flying over too low. The first sounds of 'Carnivorous' are a synth though, followed by an eastern guitar melody, while the rhythm section pounds away. The guitar accents at the end of each section are like the burst of a cannon. The opening is dark. Marsden and Richardson are tearing off the meat at the tendons with their canine teeth. There's no light in this song. The whole available space is mixed closed with the drums and bass. A great and promising opening. The stop/starts of 'That's My Trouble' sounds more familiar as the signature Band of Skulls song. The impact 'Death By Diamonds And Pearls' had, can never be surpassed of course. Again I notice that this pop element has entered the sound of Band of Skulls. As if the band worked just this little harder on the melodies. This is proven by the intro to the title song. It is replaced by a firm (bass) guitar, the chorus obviously returns to the pop of the intro. Marsden's raplike flow singing works really well in 'Love Is All You Love'. It's the kind of song that instantly makes me feel better than before I heard it. A smile on my face is guaranteed. 'Not The Kind Of Nothing' is an open song, containing a great riff as an interlude. The alternate singing really comes through here. So four songs, four times bingo. Love Is All You Love is off to a great start. The album takes a turn here. 'Cool Your Battles' is a mix of synths and rock guitar. Again I notice that I like the vocal melody a lot. The sound drumming lifts the song in the right places. There's one band coming to mind I had never associated with Band of Skulls before, Muse. Some of the effects in this song simply sound familiar. It works extremely well, so the influence is welcome. With 'Sound Of You' the album even moves away further away from alternative rock. Emma Richardson leads us into a song that has a piano as a lead instrument. It is atmospheric, yet spurred on by the soft drumming on the bass drum and the snare and the guitar floating on a layer of delay. Yes, this is a Band of Skulls ballad alright. Of course I expect an outburst to come at some time. It doesn't. A synth comes in, the bass plays somewhat more prominently. Almost a lead melody. 'Sound Of You' is a beautiful song. The band enlisted Richard X (Philips) as producer to find a more open sound. It is obvious together they found just that. The tracks have a danceable feel, the synths give the music another take than ever before. The album as a whole is more open, while the songs all are far above par. 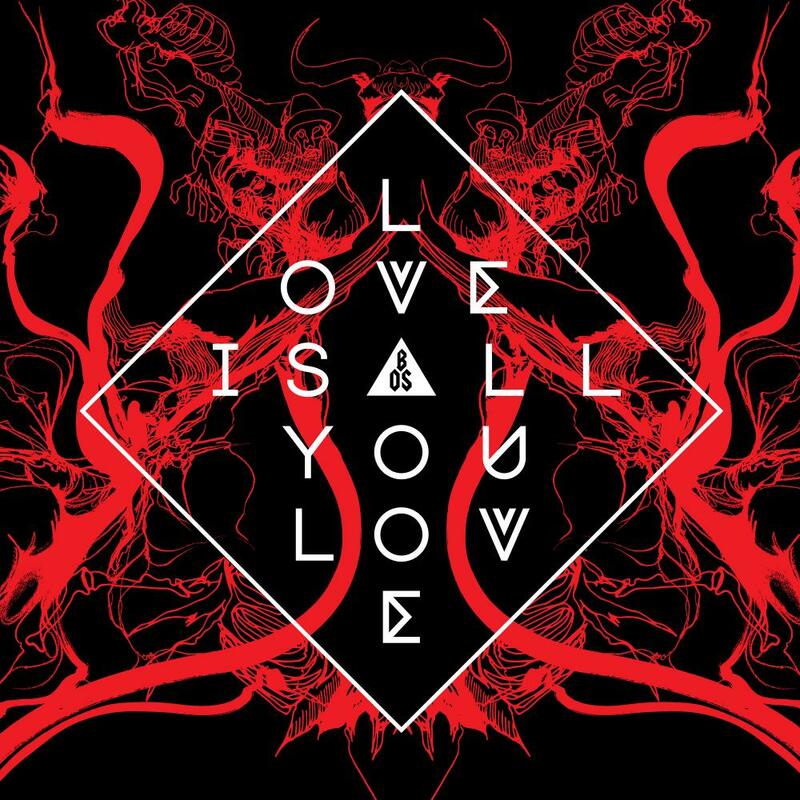 The radical sound of Band of Skulls may not be present on Love Is All You Love. The substituted pop feel gives the band a new leash to explore. Admittedly at the end of the album I have heard enough. Perhaps inspiration was just a little less. I find it does not deflect my overall view of the album. The great rock songs of the past undoubtedly will come by live, in my home I have a new great album to play. Five albums into the career of Band of Skulls I was and remain a fan.